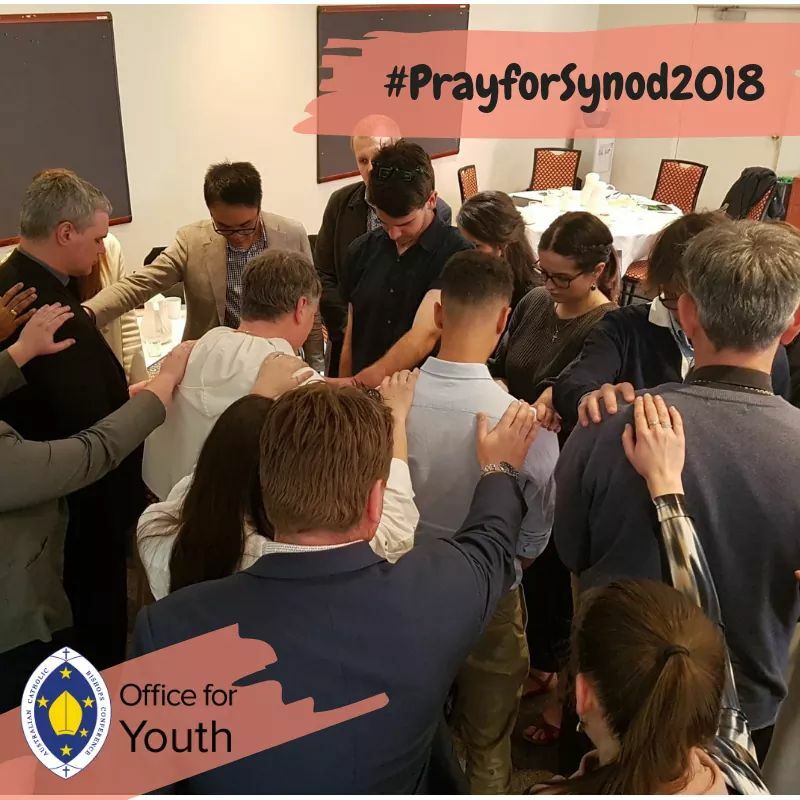 The Synod of Bishops on Young People, Faith and Vocational Discernment will see Church leaders share wisdom and learn from the world’s youth, according to Australia’s bishop delegates. Sydney Archbishop Anthony Fisher OP and Melbourne Auxiliary Bishop Mark Edwards OMI have arrived in Rome for the gathering of prelates, which runs from October 3 to 28. They have been joined by Melbourne Archbishop Peter A. Comensoli, who was personally selected by Pope Francis to attend. According to an official list of participants released by the Vatican last month, young people, women and lay Catholics from more than 40 countries have been appointed as “collaborators”, “observers” and “auditors” of the Synod. Among them is Sebastian Duhau, a 22-year-old from Sydney. “Hearing from hundreds of thousands, or possibly even millions, of youth from around the world in the lead-up to a Synod of Bishops is something we have never done before,” Archbishop Fisher said. “Youth, young faith and young vocations are some of the most important issues for the Church today and into the future. “Young people are so important to the Church, not just of tomorrow, but the Church right now. The Vatican began preparing for the 2018 Synod in January 2017, with the release of a questionnaire focused on discerning the needs of young people today. The survey was sent to national bishops’ conferences and also posted online to allow youth to share their input. “In the survey of young people that was conducted in the lead-up to the Synod, and the pre-Synod that involved youth from around the world, we heard that they are concerned about mental health, friendship and loneliness, work and housing,” Archbishop Fisher said. “The Church wants to be there for them, to offer them some wisdom but also to learn from them. As he prepared for this month’s Synod, Bishop Edwards reflected on the decade that has passed since World Youth Day in Sydney. He said the Church in Australia was already doing much to engage young people. “There is so much more youth ministry happening now than there was in 2005. And it is so much better thought-out and supported,” Bishop Edwards said. “I am keenly aware that our young people can teach us how to navigate the new era in which we find ourselves. They are asking: ‘How can I be involved?’ ‘Do I make a difference?’ And they can and do. Bishop Edwards said the document Anointed and Sent, released by the Australian bishops in 2009, could help parishes, schools and youth groups with the “why?” of youth ministry and offers a rationale and vision. • To foster the total personal and spiritual growth of each young person. • To draw young people into responsible participation in the life and mission of the Catholic community. • To empower young people to live as disciples of Jesus Christ in today’s world. “This is a foundational and excellent document that has the potential to support new youth ministries and give context and focus to already established ministries,” Bishop Edwards said.